Get bonus content with purchase! 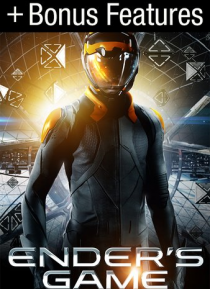 Buy Ender's Game and get the behind the scenes featurette "Ender's World: The Making of Ender's Game". As fears of an alien invasion grow, Earth's International Fleet recruits an unlikely leader-- a young and brilliant boy--to command its forces and fight for the future of the human race.